The food industry has very high standards for the production and transport of foods. As IBCs are commonly used at the beginning of the food chain, eg for concentrates, pre-products and raw ingredients, even small impairments can have serious implications. High safety standards guarantee quality along the entire chain, from production to transport and sales. 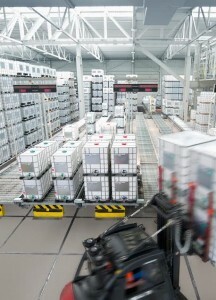 Schütz has developed the new Foodcert IBCs and drums to match these requirements. These packaging products provide full material, product and process safety. They comply with all the specifications of the Food and Drug Administration (FDA) and European guidelines, and include many additional factors to minimise risks. This new packaging matches today’s significantly higher requirements in the food industry, extending far beyond the usual focus on materials. Particular preventive measures on the Cleancert line: Preproduced components, such as screw caps, for instance, are hygienically wrapped until required for final assembly. Staff wear protective clothing in accordance with detailed hygiene regulations. 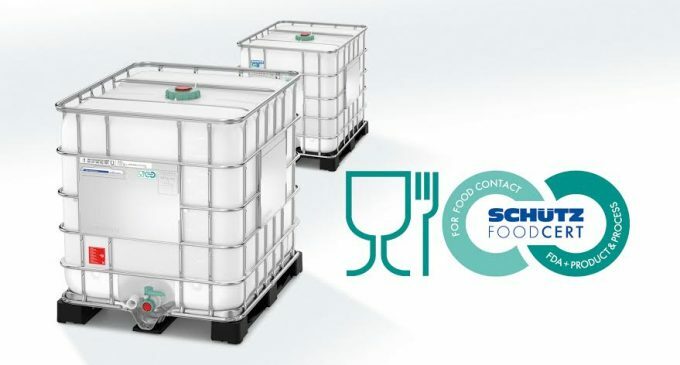 This new IBC range is based on a complex process of certification in accordance with the industry standard FSSC 22000 (Food Safety System Certification, based on ISO 22000 in connection with ISO/TS 22002-4) for all relevant Schütz production sites worldwide. Internal audit planning ensures renewed FSSC compliance every year. Schütz follows the guidelines of the Global Food Safety Initiative (GFSI), which recognises this system certification. The GFSI is the world’s largest non-profit organisation for the improvement of food safety; it was founded in 2000 by food producers and retailers to establish international standards. The area of influence of the GFSI and its guidance document currently includes Europe, the US, South America, China and India. Complying with maximum safety requirements demands effective preventive programmes: Schütz has implemented numerous measures within the HACCP (Hazard Analysis and Critical Control Points) concept. These apply to all buildings, equipment and the entire production environment and together make a huge contribution to maintaining filling product quality. Just-in-time production and seamless traceability: the new Foodcert IBCs conform to the wishes of consumers for food labelling stating the exact place of origin. 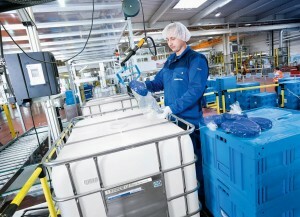 Schütz manufactures Foodcert packaging just-in-time on the basis of individual customer orders: immediately after moulding the IBC inner bottles are transferred to final assembly and inserted. Each production step and component is clearly assigned to the relevant packaging product and is free of silicone. A barcode system identification enables seamless traceability right back to batch and process level. Schütz can also assign individual identification numbers for articles or packaging items. Finished Foodcert IBCs are loaded indoors without delay and dispatched. Pre-produced components such as screw caps, outlet valves or bung plugs are hygienically packaged and stored separately. Containers which are being dispatched later are stored in special, closed rooms. Optional plastic covers provide additional protection until the IBC is used to transport concentrates and food products. Schütz can also supply Foodcert IBCs with an EVOH barrier layer to protect sensitive goods, e.g. milk, fruit juices, alcoholic beverages and aromas, during transport. This enhanced protection is made possible by Security Layer Technology, where up to six functional layers can be extruded in one go. Integrated between two carrier layers, this technology offers effective protection against permeation, preventing gases, aromas, fragrances or solvents from permeating in or out of the container, stopping vitamin degradation and significantly extending the shelf-life of sensitive filling products. The EVOH barrier also allows the proportion of preservatives to be reduced and even means that the containers do not require cooling during transportation. A white or black conductive outer layer provides protection against UV radiation and light. Customers profit from the consistently high quality and storability of their products. Schütz Packaging Systems is committed to continuous internal research activities and close cooperations with institutions and universities. This ensures that the products developed by the IBC specialist are closely aligned to the changing requirements of the food industry.